The EDO Decommissioners always intended to go to trial – now set for May 17th – as the accusers not the accused. 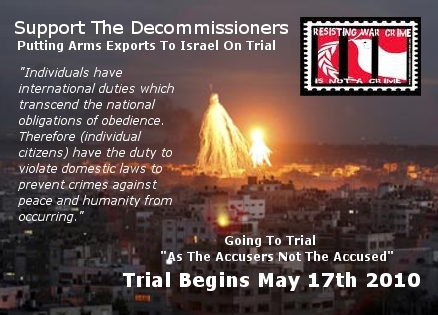 Please support the decommissioners in there attempt to uphold International law, by preventing the supply of weapons being used to kill innocent civilians. Lewes, Sussex, BN7 1EA ENGLAND. For those who can visiting times are 2pm-4pm daily, he welcomes visits.